The AGGAT program underwent a major transition phase last year which saw HERA strengthen its relationship further with the University of Auckland and established key roles internally in turbine research and heat transfer research by the appointment of Dr. Lei Chen and Dr. Haiam Abbas within our team respectively. Since then the AGGAT programme has developed critical design and modelling in-house capabilities utilising state of the art modelling software for fluid dynamics (ANSYS) and process optimisation (VMGSim). 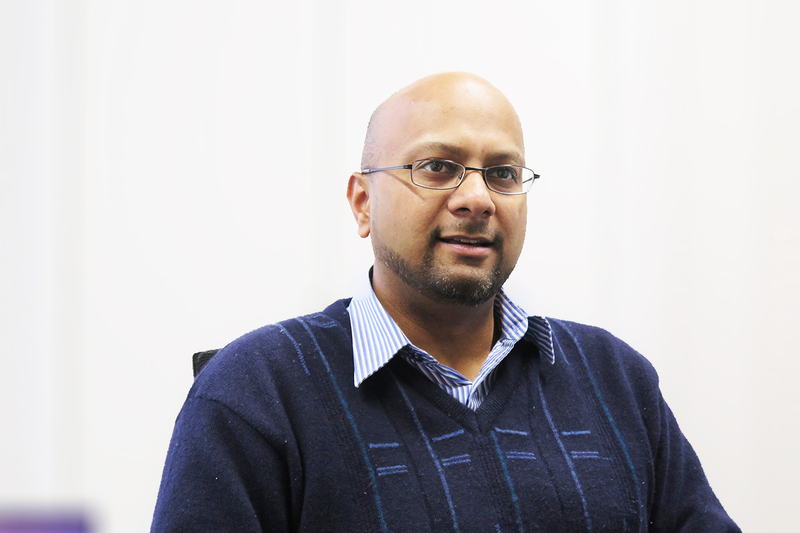 The past year has seen the beginning of a new phase of the AGGAT journey with a history of development behind it now positioning the programme to support a wide spectrum of future technology development opportunities. With the start of this year, we continue to provide insights into our developmental work as we have done previously by outlining progress, going sequentially through our ten research aims 1-1 to 1-6 and 2-1 to 2-4 under Impact Statements 1 (Knowledge Base) and 2 (System applications) respectively. 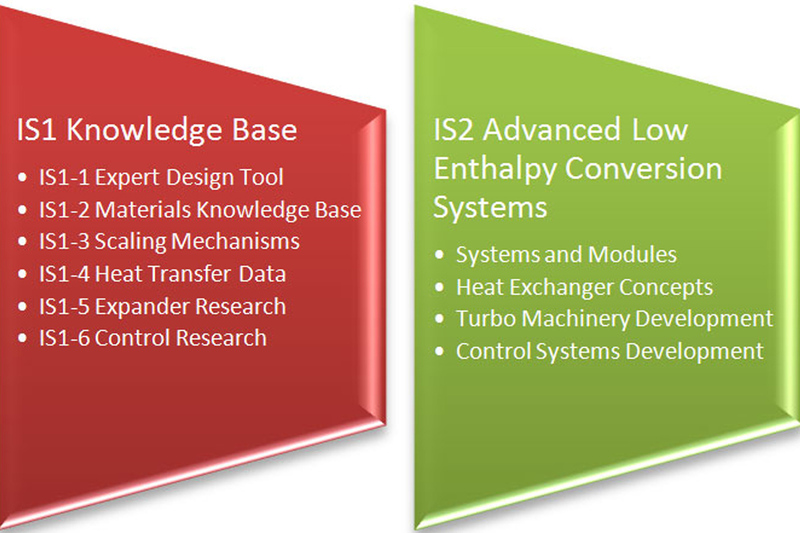 In this edition, we catch up on progress under Research Aim 1-1 (Expert Design Tool) and Research Aim 1-6/2-4 (Control Systems Research and Development). In our previous update on the Expert Design Tool in June 2015, we introduced Chemical Engineering Masters Student Howard Zheng, working on this project supervised by University of Auckland Senior Lecturer Dr. Wei Yu and our Senior Research Engineer Dr. Boaz Habib. The purpose of this design tool is to assist an engineer in carrying out a reasonable assessment on a heat resource for generating power and also validating process as well as equipment needs. The research approach is focused on developing the 1) Process Simulation tool and 2) integrating it online on the World Wide Web via a suitable AGGAT website interface. So far the team has progressed towards creating a user-friendly Graphical User Interface (GUI) for the end-user and worked intimately with all the AGGAT research experts to validate algorithms in turbine design, heat exchanger design and material selection. Among the online integration options considered, the direction forward will likely link with the Linux-Ubuntu OS which is similar to the set up for the AGGAT Collaboration Platform. An online working version is expected to be in operation by the end of next month. 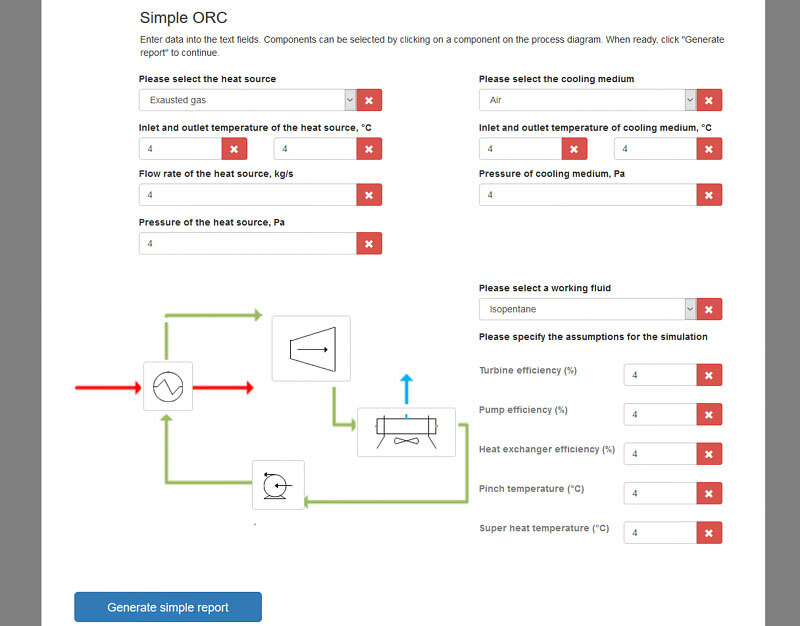 Graphical User Interface proposed for the ORC Expert Design Tool. Since our previous update on this research aim where we reported on our international partnership in magnetic bearing generator technology, we have since progressed in the design and drawings of the generator casing and coupling with the turbine on the same shaft. An exploded view of the major components is shown below (without the generator windings etc). We are pleased to have in our team Supriya Roy who joined us last December. Supriya specializes in Mechatronics Engineering and has a special interest in generators. Supriya is working under HERA Research Engineer Dr. Lei Chen’s supervision on the design, analysis and drawing tasks for the turbo-generator assembly with a particular focus on the generator casing. One issue we have faced to date in turbine design has been with the thrust load on the shaft which needs to be reduced to a level that is suitable for connection with the magnetic bearing generator. To achieve this, a scallop design has been adopted for the turbine rotor. This design can substantially reduce the turbine thrust loading and transmit part of the loading force to the turbine back plate depending on how deep the scalloping is, and it also can reduce the stress concentrations on the rotor root section as well as the inertia of the rotor. We are currently doing the simulation of the heat transfer in the generator and the mechanical structures in terms of the connections of turbine volute, stator, rotor, shaft and generator casing. The final mechanical drawings of turbo-generator will be finished in April 2016. 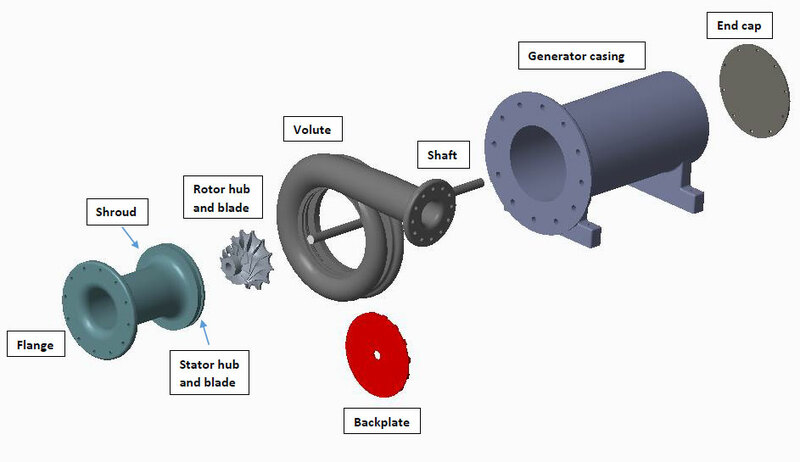 Exploded view of major components in the turbo-generator assembly. Radial Inflow turbine rotor showing unscalloped (before) and scalloped (after) versions. In our last update pertaining to this research aim, we featured our HEERF scholar Matthew Proctor who had undertaken a PhD project in Organic Rankine Cycle Control Systems research. Matthew has now successfully completed his study and is preparing for his PhD defence examination. The AGGAT team wishes Matthew the very best. Matthew is now employed in the process control industry. The AGGAT programme feels proud to have contributed towards the development of young NZ talent and a career pathway. The AGGAT controls research stream continues to move forward where Matthew Lie, a Masters student in Chemical & Materials Engineering at the University of Auckland will be building on the operation control models prepared so far. The focus of this research will be to extend the modelling capability into dynamic environments and test them for different ORC process configurations. The results basis will be implemented into the Expert Design Tool as options for consideration by the end-user when wanting to simulate plant control.